Denon has revealed details of its latest Blu-ray player – the DBP-2012UD. Synonymous with quality, Denon pitches the player as part of their ‘mid range’, but it does seem more reminiscent of a high end machine. The 2012UD uses the same structural and electrical design as the higher priced DBP-4010UD and DVD-A1UD models and offers “outstanding sound and picture quality plus maximum connectivity”. It has DLNA compatibility on board, USB input ports (for formats including MP3, WMA and DivX) and can playback DVDs and CDs, as well as 3D Blu-rays. The model has separate audio and video circuits, “to achieve superior audio and video quality”, and has Anchor Bay Technologies VRS, a high-bit video processor that plays Blu-rays “to perfection”. Priced at £749.99, the Denon DBP-2012UD will be available, in black or silver, from March. For more information on this player please check out Pocket-lint’s article here. Back in November we brought you fantastic news that the Panasonic Corporation, Royal Philips Electronics, Sony Corporation and TDK Corporation were soon to be presented with an Emmy® Award on behalf of the National Academy of Television Arts and Sciences (NATAS). The 2011 Consumer Electronics Show in Las Vegas hosted an exclusive ceremony and each of the aforementioned manufacturers was individually honoured with this prestigious accolade for their outstanding work on development of the Blu-ray Disc format. Development of Blu-ray Disc technology started in 1997, with the first prototypes from Panasonic, Philips and Sony being unveiled in 2000. The Blu-ray project was formally announced in 2002, and the Blu-ray Disc Association founded in 2004. Now, over six years later, over 1.4 billion Blu-ray pre-recorded discs, 188 million Blu-ray recordable/rewritable discs, 50 million Blu-ray players, 41 million PlayStation 3s and 25 million Blu-ray PC optical units have been produced. 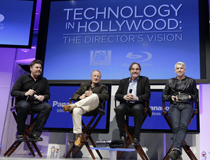 At a special directors’ panel held at the 20th Century Fox booth during the recent CES conference, award-winning directors Baz Luhrmann (Moulin Rouge!, Romeo & Juliet) Michael Mann (Miami Vice; The Last of the Mohicans) and Oliver Stone (JFK; Wall Street: Money Never Sleeps) shared their views on the strengths of the Blu-ray format and its importance to the filmmaking process. Last year we brought you news that Sweden’s Blu-ray Forum and HDTV Forum had teamed up with electronics association ‘Elekronick Branschen’ to create an education programme for retailers on all aspects of Blu-ray. With the aim of training staff to a high level of knowledge on HD and Blu-ray Disc technology, the scheme has successfully certified 74% of stores in Sweden so far. But it doesn’t stop there. Keen to keep in touch with the very latest advancements, the scheme is expanding to include a brand new section devoted to 3D Blu-ray Disc technology. Retailers that succeed in this new part of the certification programme receive the pictured badge and door sticker, so consumers know they can expect good service from knowledgeable staff. Given a significant rise in the popularity of 3D in 2010, and with 3D BD players and offerings like ‘A Christmas Carol 3D’ and ‘Alice in Wonderland 3D’ hitting the shelves come Christmas, this is great news for retailers and consumers alike, and Swedish shoppers can be confident their questions on BD3D will be answered quickly and effectively. On its completion in Sweden, the full programme will be rolled out in other Scandinavian countries, starting with Denmark. If you would like more information on the scheme, please contact the Blu-ray Forum. Always keen to remain at the forefront of Blu-ray Disc technology, Sony has raised the bar once again, this time introducing its next-generation half-height internal Blu-ray Disc (BD) rewritable drives – which will allow playback of 3D Blu-ray disc movies. Sony Optiarc America revealed that the new drives have a 12x recording speed for single BD-R content and 8x for dual-layer, which will be available in a retail and OEM configuration. The drives launched on November 4th in the US; we’ll keep you posted as to when we’re likely to see them in the UK. They say that you can’t get too much of a good thing, and if the latest sales figures for Blu-ray Discs are anything to go by, we’d be inclined to agree. 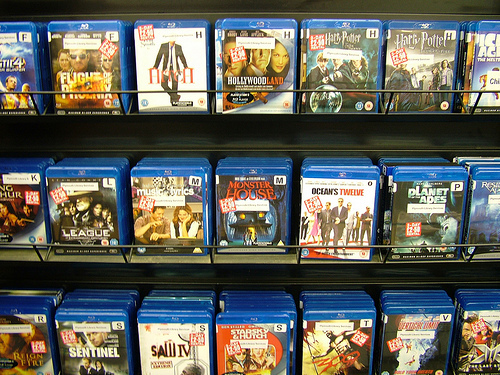 According to Digital Entertainment Group Europe, over 24.5 million Blu-ray Discs flew off shelves across Europe in the third quarter of 2010 alone. That’s a staggering increase in sales of 98.3% compared with the same period in 2009. Alongside more competitive pricing of HDTV’s and Blu-ray players, the success of cinematic juggernaut Avatar and other HD box office hits are likely factors in Blu-ray’s increasing popularity. We’ve often written about the award-winning movies you can watch on Blu-ray Disc, but this time we’re pleased to report that the format itself is to receive an Emmy Award for Technology and Engineering. 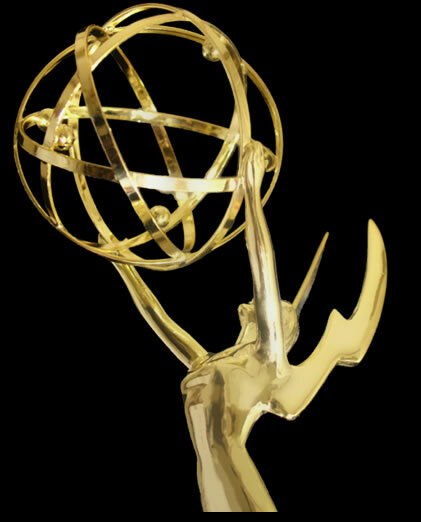 The National Academy of Television Arts & Sciences announced that it will honour Panasonic Corporation, Royal Philips Electronics, Sony Corporation, and TDK Corporation with an Emmy for their work on the format. Development of Blu-ray Disc technology started way back in 1997, with the first prototypes from Panasonic, Philips and Sony being unveiled in 2000. 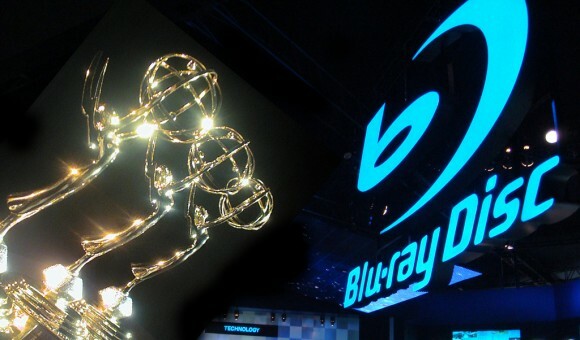 The Blu-ray project was formally announced in 2002, and the Blu-ray Disc Association founded in 2004. Now, over six years later, over 1.4 billion Blu-ray pre-recorded discs, 188 million Blu-ray recordable/rewritable discs, 50 million Blu-ray players, 41 million PlayStation 3s and 25 million Blu-ray PC optical units have been produced. The Emmy award will be presented at a ceremony taking place during CES in January. For more details, visit Softpedia.